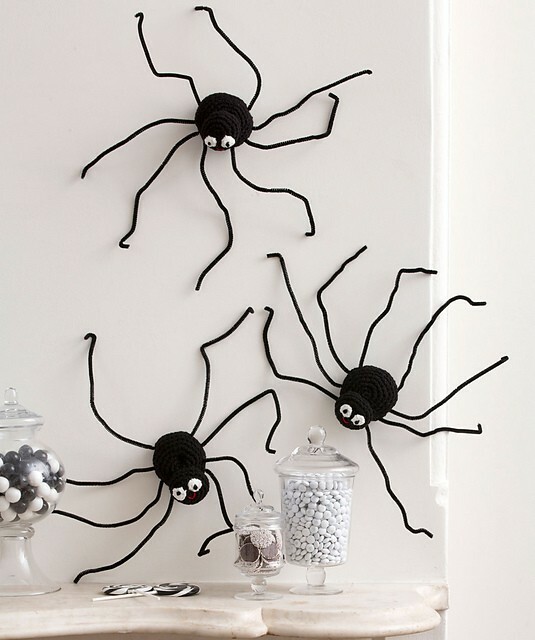 Spiders crawling up or down the wall ….such a great and scary Halloween decoration idea! Big or giant spider decorations are most popular during Halloween, and here is the perfect crochet pattern to make some creepy spiders. 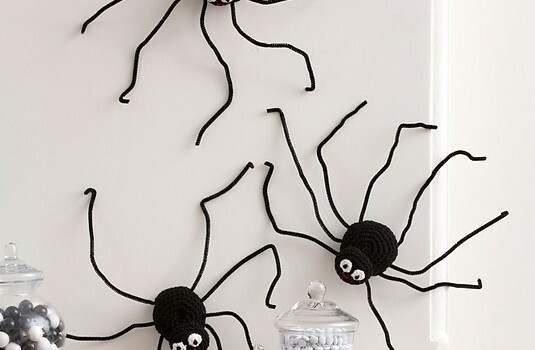 These Spiders Climbing Walls by Michele Wilcox can be made quickly and used to decorate your walls and create an atmosphere of creepiness.